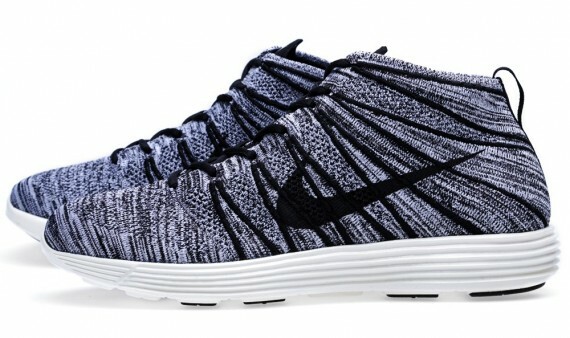 A clean look for the end of summer and upcoming fall season takes over the innovative Flyknit Chukka by Nike. 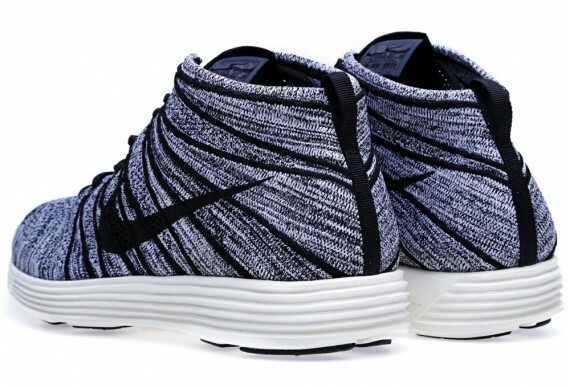 The lifestyle-driven runner's knitted upper arrives covered in black and sail, and is topped with black Swoosh logos and black laces to match. Maintaining the simple look seen throughout the upper, we see a white Lunarlon sole holding things down below. 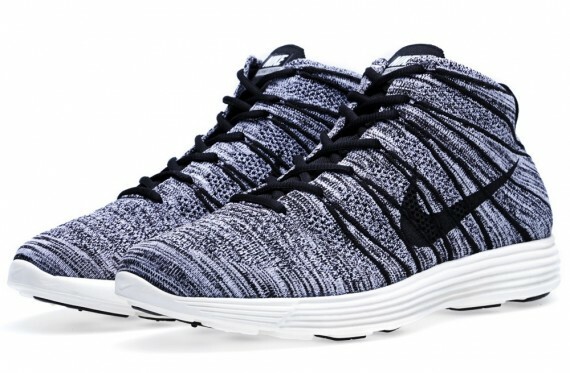 The Black/White-Sail Nike Lunar Flyknit Chukka is set to hit select Nile Sportswear accounts next Saturday, August 17th.